Emma Watson because she’s intelligent, caring, and not afraid to stand up for what she believes in. Coffee! I drink it almost religiously morning and afternoon to help get my creative juices flowing. Social Media Today on Twitter is a great account to keep up with the ever-changing social media landscape. Asking for help isn’t a sign of weakness, it’s a sign of strength. Especially early on in your career, you’re not going to know everything but you should know when to ask for help. I’m pretty much all things marketing for the FSU Career Center. I coordinate all print and digital media content for Career Center events including career fairs, workshops, resources/services, and more. My responsibilities include print publications (flyers, posters, banners, magazines), social media, graphic design, photography, videography, writing/editing, public relations, advertising and more. I am a one-woman communication office! It depends on the event or project(s) that day but to-do lists have become my best friend! I have a white board on my wall for long-term projects and a notebook on my desk for my daily to-do’s for both myself and my interns. Beginning with my cup of coffee, I then check my email and SharePoint for project requests. My to-do list and Outlook calendar guide my day, which could focus on designing new publications, writing press releases, photographing events, and more while posting on The Career Center’s social media channels throughout the day. Some days I may be out tabling on campus promoting our upcoming events. There really is no typical day in the office and I love it! 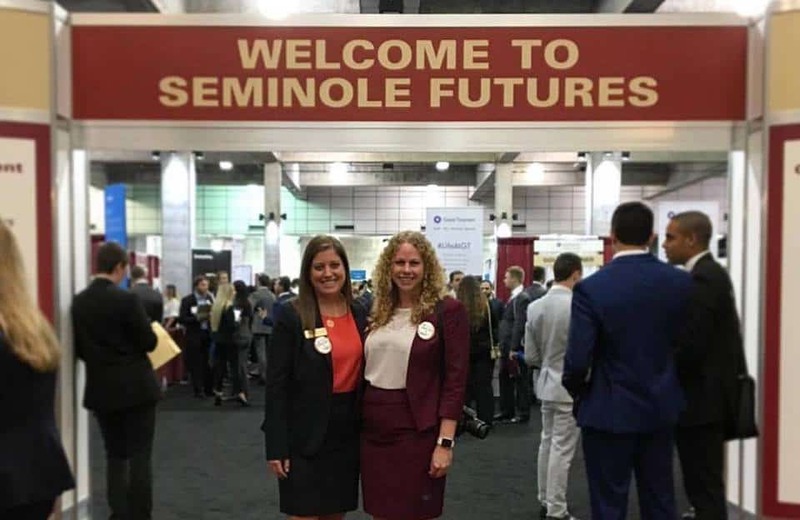 My FSU education taught me the knowledge and tools to be successful while my internships and post-graduation jobs let me put that knowledge to use in practical situations. One thing I learned after graduation is that I have a passion for higher education and learning which led me to pursue my master’s degree. I’m currently a part-time graduate student in the Integrated Marketing Communication (IMC) program while also seeking my Project Management Certificate. One of the great things about working and going to school simultaneously is that I can transfer the tools I learn in the classroom directly to my work at The Career Center. 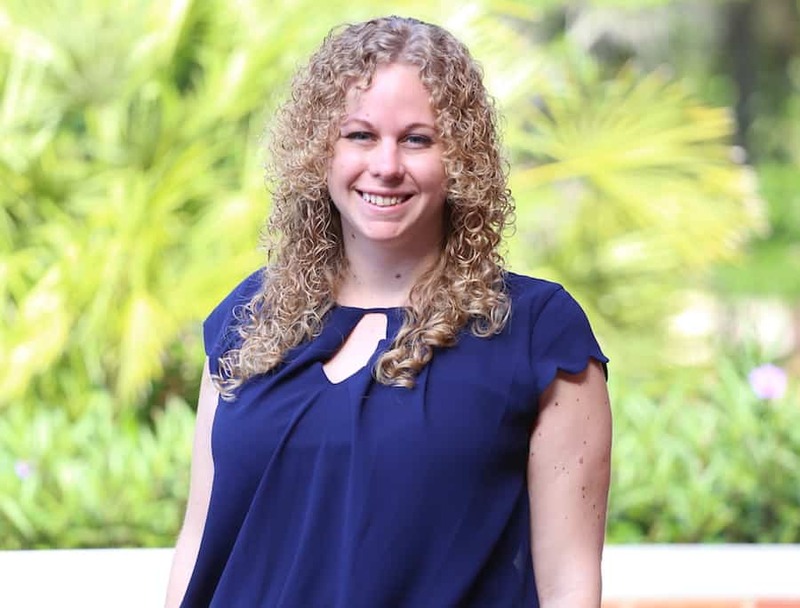 Working in communications and at FSU specifically has taught me the tremendous value of collaboration. Many communicators on campus like myself are the only communications professional in their office/department so we’ll often get together for lunch or coffee to discuss new media trends, things that are working in our departments, and brainstorm ways we can collaborate whether that be through partnered events or just retweeting a post. 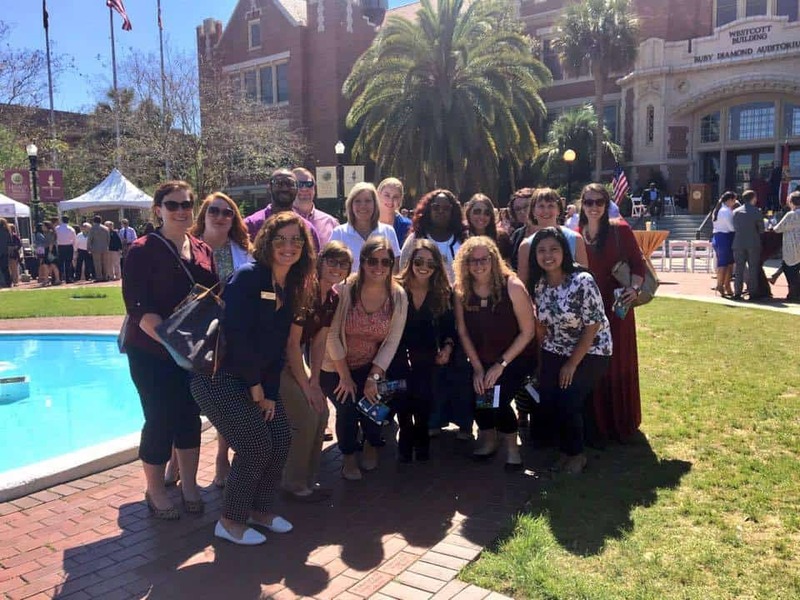 Everyone at FSU including Career Center staff, other FSU communications professionals, my classmates, and especially my interns! Any time I have an idea, I run it by someone else because I find the best ideas come from collaboration. As a graduate student as well, I try to maintain the work-life-school balance and it definitely isn’t easy but it is incredibly rewarding. I think it’s important to carve out time for yourself so you don’t get burnt out. Take a weekend getaway to the beach with your friends or stay in town and enjoy all that Tallahassee has to offer! Get involved, push yourself, try new things, don’t be afraid to fail, meet new people, and don’t stress so much!